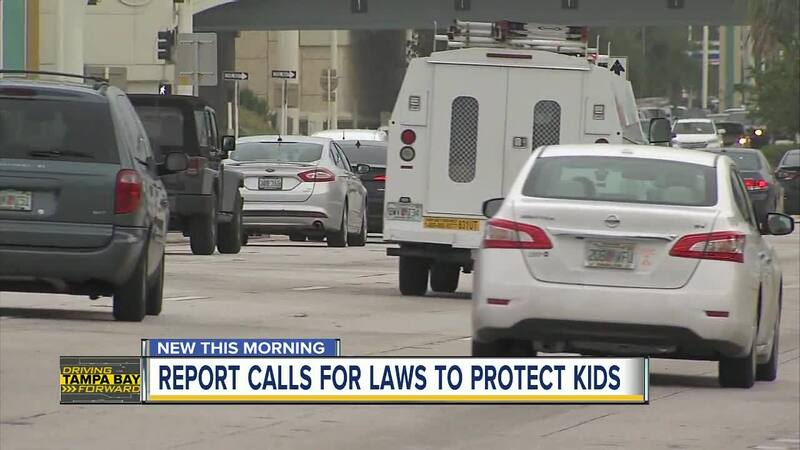 Florida lacks laws protecting young kids and teen drivers, according to a report from the Advocates for Highway and Auto Safety. 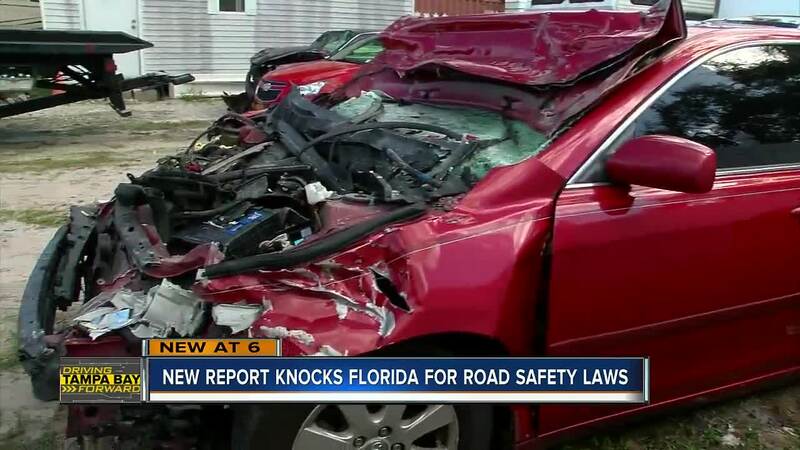 TAMPA, Fla. — Florida falls dangerously behind when it comes to road safety laws, according to a new report from the Advocates for Highway and Auto Safety. According to the advocacy group, the state of Florida only has five of their recommend 16 road safety laws, giving the state a “red” rating. These are the laws the group says are missing in the state of Florida, according to the Advocates for Highway and Traffic Safety. According to the Advocates for Highway and Auto Safety, the latest statistics from 2017 show Florida had 3,112 traffic-related in that year. They say over a ten-year period, 26,931 people have died. Seatbelt use is also a major concern in the state of Florida. According to the report, 181 lives could have been saved in 2017 with 100 percent seatbelt use. According to the NHTSA, 4,750 people were killed in crashes involving young drivers, ages 15-20, in 2017 across the United States. In Florida specifically, 3, 653 people died in crashes caused by drivers in this age group from 2008-2017, according to the Advocates for Highway and Auto Safety. The group is pushing for Florida to have a GDL program, which introduces teens to the driving experience gradually by phasing in full driving privileges over time and in lower risk settings. Florida also fails the test when it comes to the strength of its distracted driving laws, according to the report. The state lacks an all-drive text messaging restriction law as well as a Graduated Drivers License Cell Phone Restriction Law. In Florida, it’s illegal to text and drive, but it is enforced as a secondary offense. That means law enforcement can’t pull you over solely for texting while driving. Drivers must be pulled over for another offense to receive a ticket for texting and driving. If you are cited for texting while driving in the state of Florida, it can add as many as 3 points to your license. You can receive up to six points on your license if texting and driving resulted in a crash. Currently, 43 states and DC ban text messaging for all drivers, according to the report. The Advocates for Highway and Auto Safety will release their list of best and worst states for traffic safety officially on Tuesday, January 22 and 11 am EST.